"Al" Carius graduated two years ahead of us, but was well known to the MHS Class of 1962. He was the first Homecoming King we had when we went to the high school our sophomore year. And he was a major presence on the basketball court for the maroon and white. Al passed away on Christmas Eve this year. We thought classmates would want to know. This is a copy of his obituary. 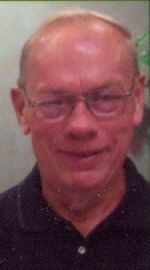 Allan P. Carius, 75, of Milan, died Sunday, Dec. 24, 2017, at his home. Services will be private at Wheelan-Pressly Funeral Home and Crematory, Rock Island. Burial will be at Greenview Memorial Gardens, East Moline. Memorials may be made in care of Monmouth College. Allan was born in Moline, on Dec. 10, 1942, a son of William P. and Kathleen A. Swanson Carius. Allan played basketball and was homecoming king at Moline High School (Class of 1960). He then received a scholastic and athletic scholarship to play basketball at Monmouth College, where he graduated with a bachelor’s degree. Allan married Linda K. “BoBo” Carius on May 8, 1964, at Salem Lutheran Church, Moline. She preceded him in death on July 15, 2013. Allen retired after 28 years from John Deere Harvester Works, East Moline. He was an avid fisherman and hunter. He will be known as a wonderful father and grandfather “Pa” who never missed one of their events. He was always there for them.